​Racquet Sports have been continuously growing at the CAC and we invite you to join in the fun! three outdoor courts (up at the NCS tennis courts). Pickleball was introduced to our CAC membership back in 2015...we started with about 12 players and have since grown to over 200 players!! Men and women of all levels are invited to play during the week and we have plenty of family play times on Sundays. 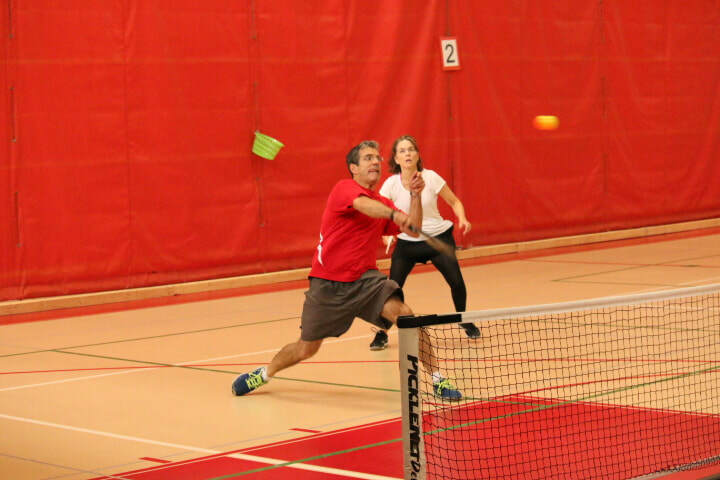 We update the CAC Indoor Pickleball schedule monthly so be sure to check back often for up to date play dates and times. ​*Badminton has seen a big boost in popularity at the CAC over the recent years as well! We now have three courts and a set schedule of play for badminton too. Please see schedule below. *These Racquet Sports Programs are FREE for CAC members.